This little member of the thrush family is mainly to be seen on heath and gorse-clad cliff-tops. It is resident in Wales all the year round. 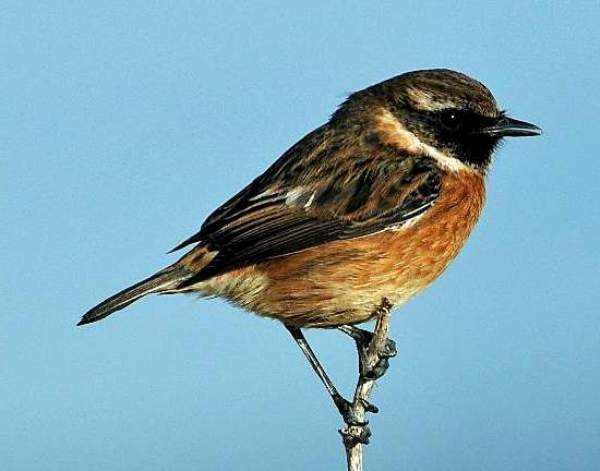 The picture above shows a male stonechat; the female does not have the black head and the white collar. 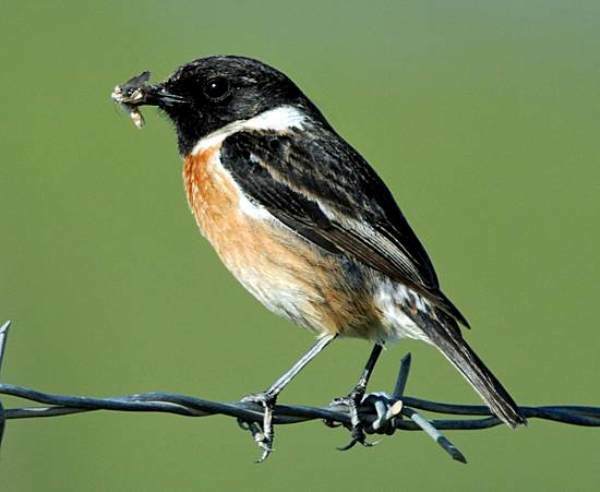 Nesting usually low down in gorse bushes, stonechats generally produce between four and six offspring. Their main food source is adult insects and their larvae.